The edgy kids who make up DC Films' Suicide Squad are a far cry from DC Comics' original team of straightlaced heroes. While the original heroes simply strove for the benefit of mankind, the modern Squad's interests are generally a bit more selfish and unpredictable—which is not to say that the Suicide Squad hasn't always been filled with a fair dose of crazy. 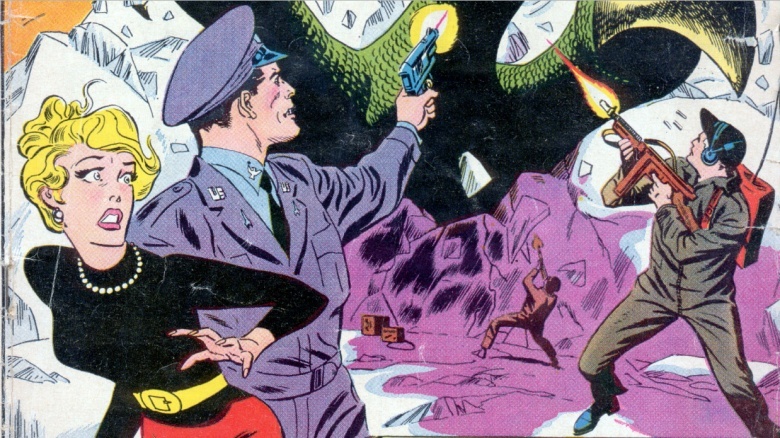 When the Suicide Squad first appears in The Brave and the Bold #25 (1959), they're just four normal people. Colonel Rick Flag Jr., Karin Grace, Jess Bright, and Dr. Hugh Evans are all the last living members of their respective crews, all willing to die to save the world and uplift their lost friends' legacies. They're basically a crew powered by pure survivor's guilt. We meet the team when they're called in to fight the "Red Wave," a mysterious force that's boiling the ocean. The force eventually reveals itself to be a dragon which absorbs chlorophyll from the land, and freezes things with a touch. They save the world by blasting themselves into space in a rocket with no means of return, with the weird lizard in tow. Even in their first appearance, the Squad makes it clear that they're a bit suicidal—but for all the right reasons. The Squad's true origins aren't revealed until 1987, appropriately in Secret Origins #14. Squadron S was where the Army put all of their crazier soldiers; they'd either get the job done or kill each other. Either way, it wasn't the government's problem anymore. The crew took the name "Suicide Squad" not because they were willing to die for a cause, but because most soldiers would rather kill themselves than join Squadron S. The dysfunctional team is headed up by Rick Flag Sr. The original Suicide Squad is called into action to fight super-threats after the Justice Society of America quits due to governmental micromanaging. After years of adventuring and fighting evil, Rick Flag Sr.'s wife is killed in a freak car accident, and he commits suicide by flying his plane into the Nazi War Wheel…which is an enormous, red, spiked wheel which just kinda rolls over everything in sight. Obviously, this kinda messes up his kid, Rick Flag Jr., but he continues on in his father's legacy. Rick Flag Jr.'s team fares well for 50 issues after we first see them fighting the ocean-boiling dino, until Bright and Evans are swallowed up in an icy crevasse while battling a yeti. The team disbanded, and the two were assumed dead for years. 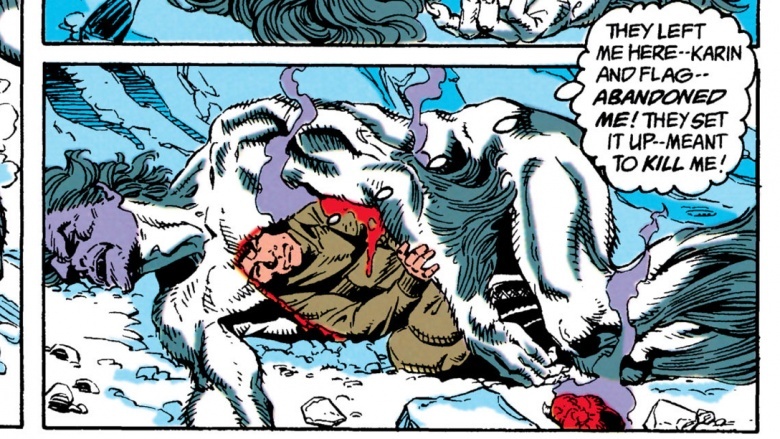 Bright, however, survived by pulling a page right out of Star Wars and digging himself into the warm yeti carcass. The Chinese government eventually found him, removed all of his fingers and toes (as well as his lips and nose), and used their own super soldier program to rescue him… but only for his scientific mind. The angry Bright goes on to create a terrorist supervillain team called The Jihad, who plague the Squad for decades. Bright spent years hellbent on destroying Rick Flag Jr. for leaving him to die covered in yeti entrails—until he eventually decided to let the whole thing go. 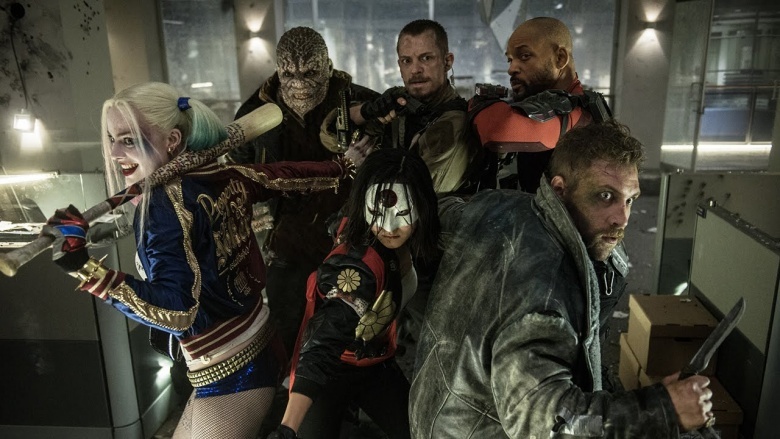 After the team disbands and re-forms, the Suicide Squad again becomes the repository for the unwanted. But instead of just really bad soldiers, Flag Jr. has to manage semi-reformed supervillains. Over the years, the roster has included the mind-controlling Thinker, the former assassin Bronze Tiger, the demon-infested Nightshade, and a number of others, most of whom betray the team at one time or another. The Squad is a great place for DC Comics to put their stranger villains, digging up obscure comic history along the way. Dr. Harleen Quinzel entered DC Comics as an underqualified Arkham Asylum psychiatrist who fell under the Joker's gross spell. She outfitted herself in a jester costume, broke the villain out of the pen, and the rest is history. 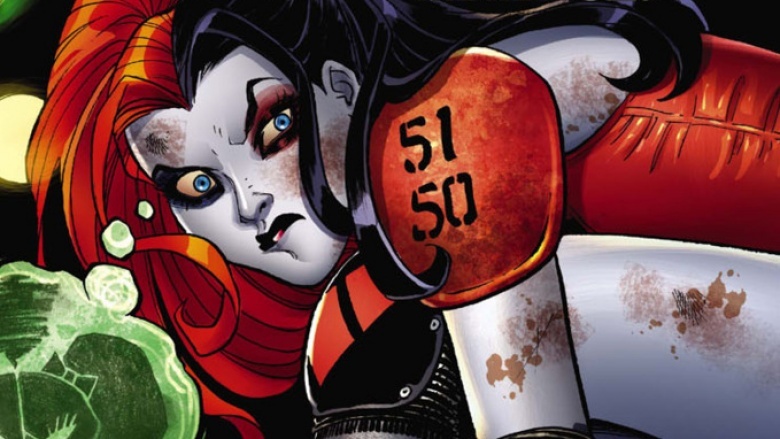 Quinn became a fan favorite villain pretty quickly, and most readers seem to just ignore the fact that the Joker has tried to kill Harley more times than her enemies ever have. 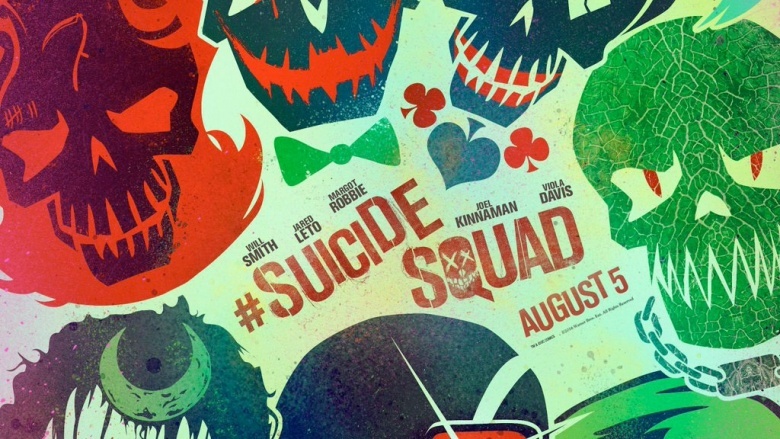 Swinging from villainous sidekick to quirky anti-hero, back to villain again, Harley is rarely out of Joker's control. Despite regular abuse, both physical and mental, her infatuation continued for about two decades…until her writers realized that depicting an abusive relationship as endearing wasn't a great move, and finally let her beat the Joker to a pulp in his own prison cell, completely biting off his lower lip in the process. Floyd Lawton is an assassin with a heart of gold. Even though his only real power is perfect marksmanship, aided by a cyborg eyeball, that's really all you need to bring down most adversaries. 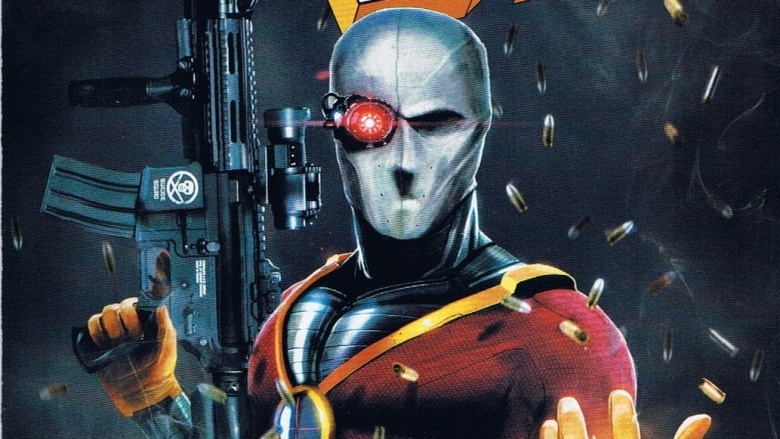 Deadshot also embodies the spirit of the Suicide Squad better than any other member. He has no wish to live, refuses to commit suicide, and wants to die in an honorable way. To date, he hasn't permanently accomplished his last goal. Deadshot's strangest adventure was set off by an airport employee who stole his costume from his luggage. Ignoring the fact that there's a reason we pay for carry-ons, Deadshot's impostor was a straight-up murderer, forcing the real Deadshot to, well, shoot him dead. Shooting a guy dressed as himself messes up the already-suicidal Deadshot for a while… until he's possessed by a demon, blows up some kids in an elementary school, and tries to kill the Pope. Which is arguably the worst thing a comic character has ever attempted. The name El Diablo has generally applied to heroic characters in DC's history, but Chato Santana is first seen as a gang member. 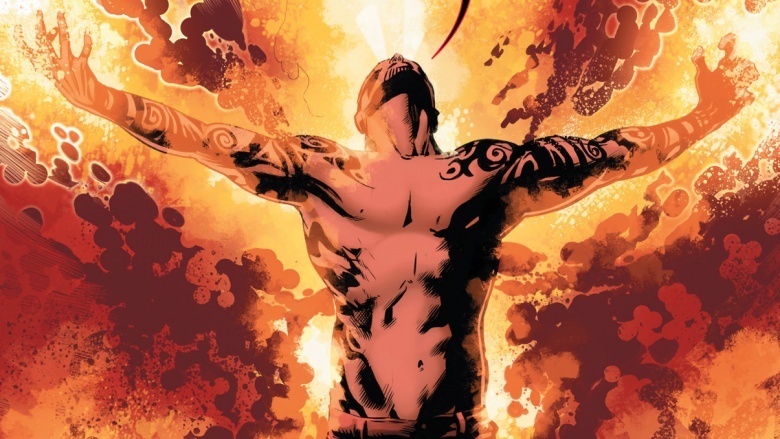 After he accidentally kills the entire innocent family of a rival member using his fire-spouting powers, he seeks redemption by joining the Squad, and frequently voices his objections to any senseless killing. During his very first outing with the new Squad, the team has to contain a stadium full of humans infected with a robo-virus that kinda turns them into zombies. When El Diablo and Deadshot are attacked by a pregnant woman-bot, Diablo is the one who protects her from being killed. She mutates into a crazy Jabba glob, King Shark bites her head off, and the team delivers a healthy baby by slicing it out of the monster's belly. The whole thing sets off a rivalry between Diablo and Deadshot, which is only intensified when Deadshot murders a team member to frame them for the whole stadium debacle. 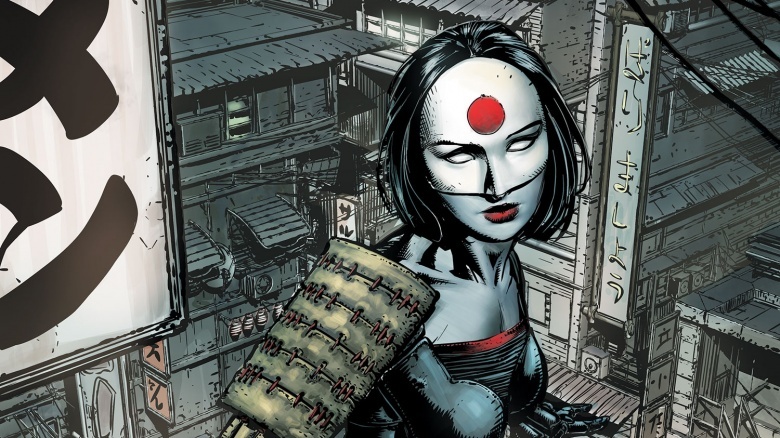 Contrary to everyone else in the Squad, Katana never appeared as a canonical team member, but happens to be one of the characters that DC Comics was pushing really hard for in their 'New 52' reboot. In fact, while most of these Suicide Squad members are part of Batman's rogues' gallery, Katana actually worked alongside Batman in his team, the Outsiders. Katana doesn't completely fit into the "superhero" model, as she wields a sword that steals souls, and heroes generally like to leave souls in the bodies they came from. Because Katana's sword has a pretty special relationship with death, the heroine was able to divine the Black Lantern zombies' plans when they invaded Earth. So while carrying around a sword full of tortured souls who yammer at you is a pretty sucky superpower to have, it's not altogether useless. Corpse whispering is a pretty profitable backup plan if the whole hero thing doesn't work out. Just ask John Edward. If you go to a party at a creepy castle, don't wander around, or else you run the risk of being possessed by an ancient space witch. That's just common sense. Unfortunately, June Moone didn't get the memo, nor did she answer the call that told her not to talk to giant lumpy heads she might find behind walls. Now she plays host to a powerful evil that she can only sometimes control, causing her to slip between hero and villain pretty regularly. 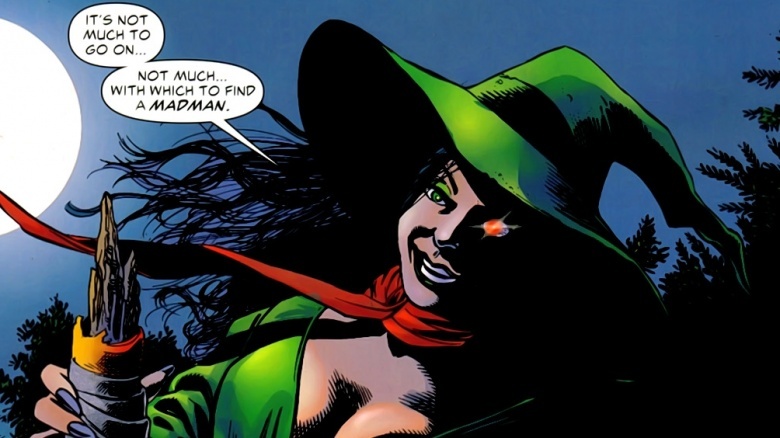 When the Enchantress first appeared in 1966, she only showed up in three stories, where she immediately knew how to use every single occult power ever imagined. With demons, there's no learning curve; you just trade your soul for skill. After her first appearances, she was forgotten until 1980. By then, the forces that gave her power had gone rotten, and she attacked Supergirl. (Add sanity to the list of things you give up when you accept Satan's power.) Enchantress has been separated from and reunited with the dark soul that fuels her a few times, leaving her catatonic or tucked safely away in an asylum each time, so she's kinda damned either way, making her a pretty good candidate for the Suicide Squad. Remember the time you brought your teddy bear to school and everyone laughed at you, so you decided to go home and become a teddy bear-themed supervillain? That's pretty much the origin story of Captain Boomerang, except with boomerangs. Feeling unappreciated for his goofy throwing tricks, "Digger" Harkness turns to evil, and evil boomerangs. 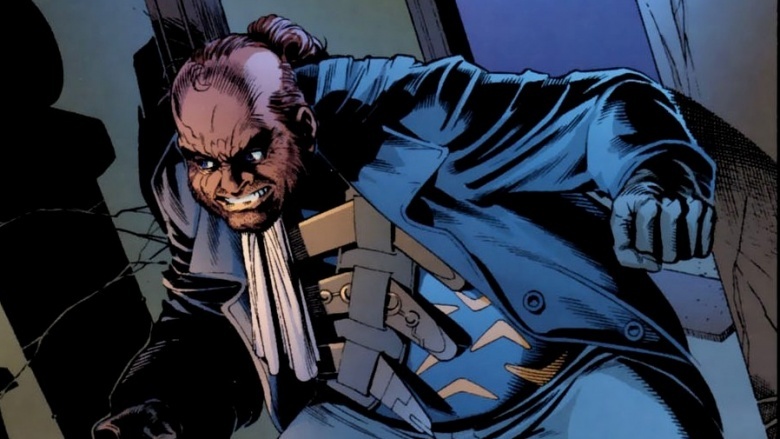 Harkness is probably one of the worst humans alive in the DC Universe. He's outwardly racist, he's cowardly, and he went on a pie-throwing rampage that lasted a year and a half. Eventually, everyone got so tired of him that he was dropped on an island with no way to get home and abandoned until the Squad needed him again. When he was picked up, he'd grown a wicked beard, and was trying to build a giant boomerang to fly himself home—because not only is he a jerk, he's pretty stupid. His first mission back? Dressing up like Batman to distract some bad guys, because the guy is a perfect human target. 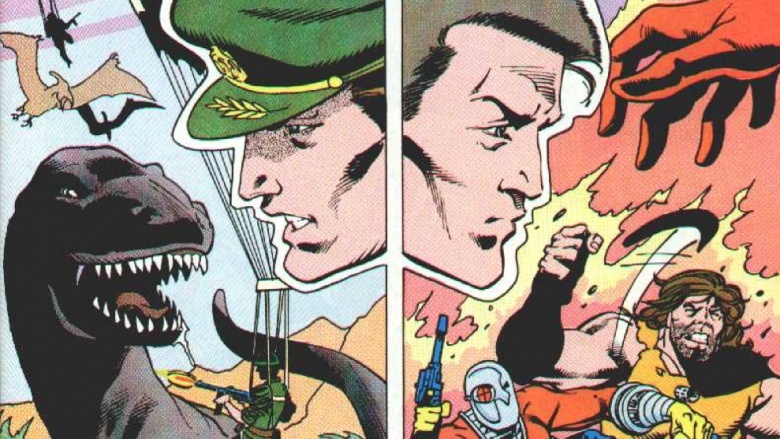 Waylon Jones has more origin stories than teeth, and that's a lot for a man-eating crocodile person. Whether it was caused by a skin condition, a gypsy curse, bad steroids, or genetic experiments gone wrong, Croc is now a guy who is super strong and hungry for living meat. Batman: The Animated Series summed up Croc best in an episode called "Almost Got 'Im," in which Batman's greatest foes are describing elaborate death traps which almost felled the Dark Knight. When it comes time for Croc's turn, he just yells, "I threw a rock at him!" 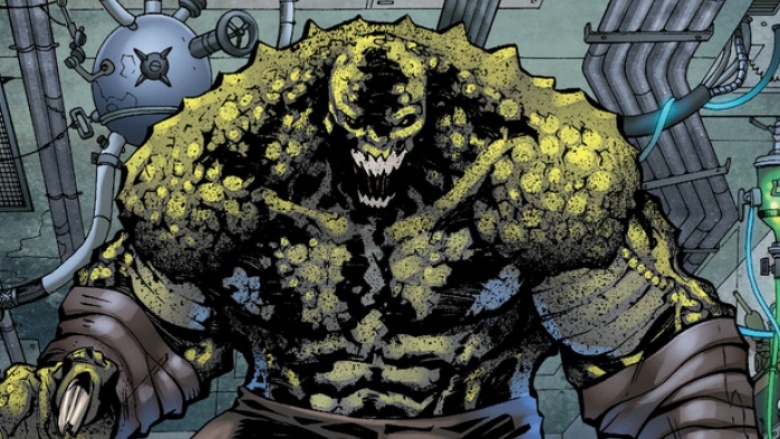 This is the threat level of Killer Croc. Croc actually has a special relationship with DC weirdo Swamp Thing, who mostly exists outside of any big DC events because he's made of sticks and moss, and dirt don't give a damn. At one point, Swamp Thing lures Croc into breaking out of Arkham, causing Batman to pursue him all the way to Louisiana. After a muddy fight through the muck, Swamp Thing subdued Batman with a puff of psychotropic pollen, convincing Batman to let the animalistic Croc finally find peace and solitude in the swamps… at least for a little while. Years before the terrible band made its debut, Slipknot was an even more forgettable villain. 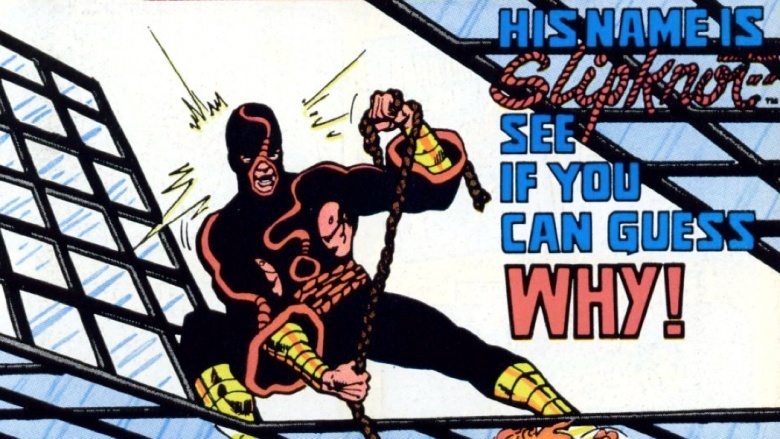 The bad guy is first seen during an attack on Firestorm, using a gimmick even worse than Captain Boomerang's boomerangs: ropes. Sure, they're durable ropes, but they're still ropes. And even though DC comics already had its ultimate durable rope in Wonder Woman's Lasso of Truth, they still needed more ropes. And that's Slipknot. Slipknot's worst moment comes at the hands of Boomerang. In order to keep the Suicide Squad in check, each member is fitted with explosive wristbands that can't go beyond a certain range or they'll explode, and since the name of the game is deception, there's a bit of doubt about if they'll actually blow up or not. Boomerang isn't keen on testing whether or not they're real for himself, so he convinces Slipknot that the wrist bombs are a fake, which sends the villain running to freedom…only to have his arm blown off by a very real explosive wrist bomb. Which makes it pretty hard to tie slipknots for a while.